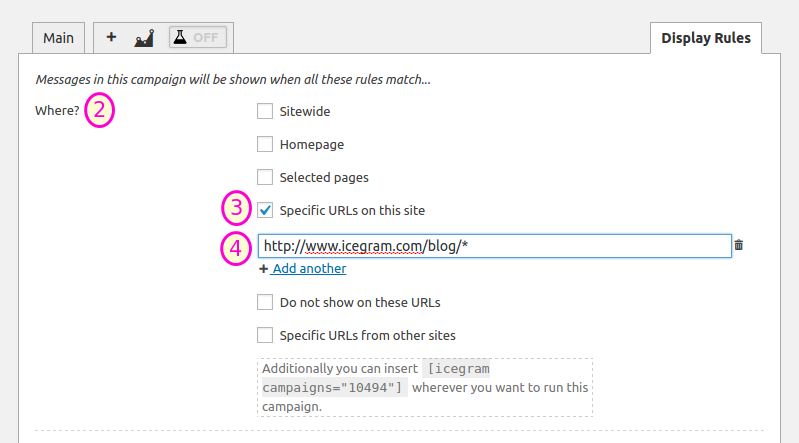 Step 4: Start filing in the url you wish to target the Icegram messages on. In our case we chose the blog category. This is essentially matching all blog pages – like what we wanted. Note: The symbol * wildcard can appear anywhere in the URL (even more than once). So use something that suits your permalink structure and campaign goals. All the above examples are valid.